Bihar is a state of the Indian union situated in central eastern India. Its capital is Patna.To Bihar's north is the country of Nepal. On its other three sides Bihar is surrounded by the Indian states of Uttar Pradesh to the west, Jharkhand to the south and West Bengal to the east. Bihar lies in the very fertile Indo-Gangetic Plain. Culturally, it is a part of the Bhojpuri heartland of India. Bihar is most famous for its status as the birthplace of Buddhism. Bihar is also the birth place of the first president of India, Dr. Rajendra Prasad and legendary freedom fighters like Babu Kunwar Singh, Swami Sahajanand Saraswati, Basawon Singh (Sinha), Dr. Anugrah Narayan Sinha, Loknayak Jayaprakash Narayan, Dr. Sri Krishna Sinha and Maulana Mazharul Haque. Bihar was called Magadha in ancient times. Its capital Patna, then known as Pataliputra, was the center of the first empire built in India, that was by Nanda Dynasty, followed by Mauryan empire, which dominated the Indian subcontinent from 325 BC to 185 BC. Emperor Ashoka was the most famous ruler of this dynasty. Bihar remained an important place of power, culture and education during the next one thousand years. The Vikramshila and Nalanda Universities, were among the oldest and best centres of education in ancient India. It must be mentioned here that the boundaries of ancient Mauryan empire extended up to the present day Afghanistan which was unparelled in Indian history. Bihar is the birthplace of several religions including Buddhism and Jainism. 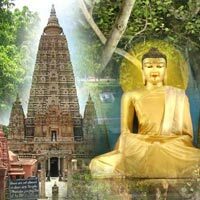 Buddha attained Enlightenment at Bodh Gaya, a town located in the modern day district of Gaya. Mahavira, the 24th and the last Tirthankara of Jainism, was born in Vaishali. Indeed Jain monks & nuns wandered in the towns and forests of then-Magadha. They called it vihara and thus Bihar got its name from the vihara of jain sages.The tenth guru of Sikhism, Guru Gobind Singh was born in Patna, the capital of Bihar. Mythological Goddess Sita was born in Sitamarhi. Bihar saw a brief period of glory for six years during the rule of another Pashtun Sher Shah Suri, who was from Sasaram and built the longest road of the Indian subcontinent, the Grand Trunk Road, which starts from Sonargaon in Bangladesh and ends at Peshawar in Pakistan. During 1557-1576, Akbar, the Mughal emperor, annexed Bihar and Bengal to his empire. With the decline of the Mughals, Bihar passed under the control of the Nawabs of Bengal. Thus, the medieval period was mostly one of anonymous provincial existence. The 10th and the last guru of Sikhism, Guru Gobind Singh, was born in Patna. After the Battle of Buxar (1764), the British East India Company obtained the diwani rights (rights to administer and collect revenue, or tax administration / collection) for Bihar, Bengal and Orissa. From this point onwards, Bihar remained a part the Bengal Presidency of the British Raj until 1912, when Bihar was carved out as a separate province. In 1935, certain portions of Bihar were reorganised into the separate province of Orissa. Again, in 2000, 18 administrative districts of Bihar were separated to form the state of Jharkhand. Babu Kunwar Singh of Jagdishpur and his army, as well as countless other persons from Bihar, contributed to the India's First War of Independence (1857), also called the Sepoy Mutiny by some historians. Bihar's contribution in the freedom struggle has been immense with outstanding leaders like Swami Sahajanand Saraswati,Bihar BibhutiAnugrah Narayan Sinha ,Mulana Mazharul Haque,, Loknayak Jayaprakash Narayan,Satyendra Narayan Sinha(Singh) Basawon Singh (Sinha), Yogendra Shukla, Sheel Bhadra Yajee, Pandit Yamuna Karjee and many others who worked for India's freedom relentlessly and helped in the upliftment of the underprivileged masses. Khudiram Bose and Prafulla Chaki were also active in revolutionary movement in Bihar. Baikuntha Shukla, another great nationalist from Bihar who was hanged for murdering Phanindrananth Ghosh who had become a government approver which led to hanging of Bhagat Singh, Sukhdev and Rajguru.Phanindra Nath Ghosh hitherto a key member of the Revolutionary Party had treacherously betrayed the cause by turning an approver, giving evidence, which led to the execution. Baikunth was commissioned to plan the execution of Ghosh as an act of ideological vendetta which he carried out successfully on 9 November 1932. He was arrested and tried for the killing. Baikunth was convicted and hanged in Gaya Central Jail on May 14, 1934. He was only 28 years old. In North and Central Bihar, peasants movement was an important side effect of the freedom movement. This movement aimed at overthrowing the fedual zamindari system instituted by Britishers It was being led by Swami Shajanand Saraswati and his followers Pandit Yamuna Karjee, Rahul Sankritayan and others. Pandit Yamuna Karjee along with Rahul Sankritayan and other Hindi literaries started publishing a Hindi weekly Hunkar from Bihar, in 1940. Hunkar later became the mouthpiece of the peasant movement and the agrarian movement in Bihar and was instrumental in spreading the movement. The peasant movement later spread to other parts of the country and helped in digging out the British roots in the Indian society by overthrowing the zamindari system. After his return from South Africa, Mahatma Gandhi started the freedom movement in India by his satyagraha in the Champaran District of Bihar at the request of Raj Kumar Shukla-- against the British, who were forcing the local farmers to plant indigo which was very harmful to the local soil. In India’s struggle for Independence the "Champaran Satyagraha", marks a very important stage.Raj Kumar Shukla drew the attention of Mahatma Gandhi, who had just returned from South Africa, to the plight of the peasants suffering under an oppressive system established by European indigo planters. Besides other excesses they were forced to cultivate indigo on 3/20 part of their holding and sell it to the planters at prices fixed by the planters. This marked Gandhiji’s entry into the India’s Struggle for Freedom. On his arrival at Motihari, the district headquarters,Gandhiji along with his team of eminent lawyers comprising of Dr.Rajendra Prasad, Dr.Anugrah Narayan Sinha, Brajkishore Prasad and Ram Navami Prasad which he handpicked tp participate in the satyagraha were ordered to leave by the next available train which they refused to do and Gandhiji was arrested. He was released and the ban order was withdrawn in the face of a, "Satyagraha" threat. Gandhiji conducted an open enquiry into the peasant’s grievances. The Government had to appoint an enquiry committee with Gandhiji as a member. This led to the abolition of the system. Raj Kumar Shukla has been described by Gandhiji in his "Atmakatha", as a man whose suffering gave him the strength to rise against the odds. In his letter to Gandhiji he wrote "Respected Mahatma, You hear the stories of others everyday. Today please listen to my story….. I want to draw your attention to the promise made by you in the Lucknow Congress that you would come to Champaran. The time has come for you to fulfil your promise. 19 lakhs suffering people of Champaran are waiting to see you." Gandhiji reached Patna on 10 April 1917 and on 16 April he reached Motihari accompanied by Raj Kumar Shukla. Under Gandhiji’s leadership the historic "Champaran Satyagraha" began. The contribution of Raj Kumar Shukla is reflected in the writings of Dr. Rajendra Prasad, first President of India, Anugrah Narayan Sinha, Acharya Kriplani and of course, Mahatma Gandhi himself. Raj Kumar Shukla maintained a diary in which he has given an account of struggle against the atrocities of the indigo planters, atrocities so movingly depicted by Dinabandhu Mitra in Nil Darpan, a play that was translated by Michael Madhusudan Dutt. This movement by Mahatma Gandhi received the spontaneous support of a cross section of people, including Dr. Rajendra Prasad, who ultimately became the first President of India, Bihar Kesari Sri Krishna Sinha who became the first Chief Minister of Bihar, Dr. Anugrah Narayan Sinha, who ultimately became the first finance minister of Bihar and Brajkishore Prasad. Geography Bihar is mainly a vast stretch of very fertile flat land. 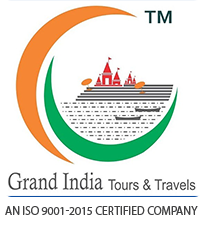 It has several major rivers: Ganga, Son, Bagmati, Kosi, Budhi Gandak, Chandan, Orhani and Falgu. Central parts of Bihar have some small hills, for example the Rajgir hills. The Himalayan mountains are to the north, in Nepal. To the south is the Chota Nagpur plateau, which was part of Bihar until 2000 but now is part of a separate state called jharkhand. Climate: Bihar is mildly cold in the winter (the lowest temperatures being around 5 to 10 degrees Celsius; 41 to 50 degrees Fahrenheit). Winter months are December and January. It is hot in the summer (40 to 45 degrees Celsius; 104 to 114 degrees Fahrenheit). April to mid June are the hot months. The monsoon months of June, July, August, and September see good rainfall. October & November and February & March have pleasant climate. Hindi (Official language of State), Urdu- (2nd official language of State government), Maithili, Angika (Southern version of Maithili) , Bhojpuri, Bajjika (spoken around the Hajipur district),Bangla and Magadhi (Magahi) are the major languages spoken in Bihar. Angika is the only one of the languages which can be used in the Google Search Engine; Google-Angika has been available since 2004. The oldest poetry of the Hindi language (e.g., poetries written by Saraha, also known by the name Sarahapa, were written in the Angika language during the 8th century. Bihar has produced a number of writers of Hindi, including Raja Radhika Raman Singh, Shiva Pujan Sahay, Divakar Prasad Vidyarthy, Ramdhari Singh 'Dinkar', Ram Briksh Benipuri, Phanishwar Nath 'Renu', Gopal Singh "Nepali" and Baba Nagarjun. Mahapandit Rahul Sankrityayan, the great writer and Buddhist scholar, was born in U.P. but spent his life in the land of Lord Buddha, i.e., Bihar.Hrishikesh Sulabh is the prominent writer of the new generation. He is short story writer, playwright and theatre critic. Arun Kamal and Aalok Dhanwa are the well-known poets. Different regional languages also have produced some prominent poets and authors. Sharat Chandra Chattopadhyay, who is among the greatest writers in Bangla, resided for some time in Bihar. Of late, the latest Indian writer in English, Upamanyu Chatterjee also hails from Patna in Bihar. Devaki Nandan Khatri, who rose to fame at the beginning of the 20th century on account of his novels such as Chandrakanta and Chandrakanta Santati, was born in Muzaffarpur, Bihar. Vidyapati Thakur is the most renowned poet of Maithili (c. 14-15th century). Bihar Travel Information - How to Reach There Bihar has three airports - Lok Nayak Jayaprakash Airport, Patna, Bhagalpur Airport and Gaya. Patna airport is connected to Delhi, Mumbai, Kolkata, Lucknow, and Ranchi. It is categorized as a restricted international airport, with customs facilities to receive international chartered flights. Gaya airport is a small international airport connected to Colombo, Singapore, Bangkok and more. Bihar is well-connected by railway lines to the rest of India. Most of the towns are interconnected among themselves, and they also are directly connected to Kolkata, Delhi and Mumbai. Patna, Darbhanga, Kathihar, Baruani, Chapra,Bhagalpur and Gaya are Bihar's best-connected railway stations. The state has a vast network of National and State highways. 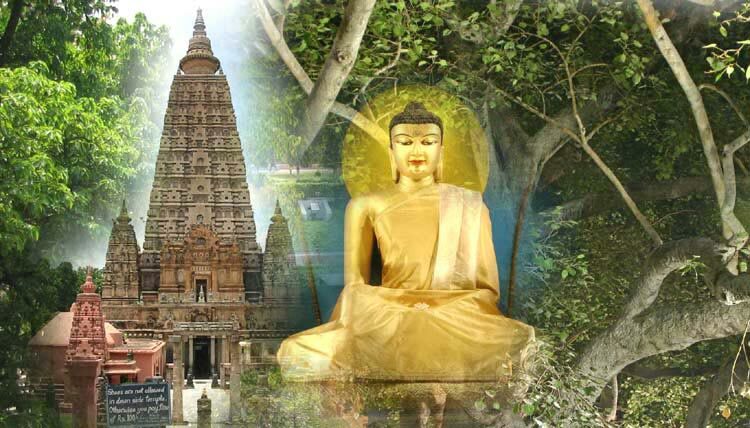 For Buddhist pilgrims, the best option for travel to Bihar is to reach Patna or Gaya, either by air or train, and then travel to Bodh Gaya, Nalanda, Rajgir and Vaishali. Sarnath in Uttar Pradesh also is not very far.Airfares train fare. Transportation is not on disposal basis. It is strictly as per the programmed, any extra running will be charges extra. Early morning transfer to the Ghats of Holy River Ganges to take a boat ride - a very spiritual experience. Later walk through the narrow lanes of Varanasi exploring various temples .After breakfast full day Sarnath tour where Buddha delivered his first sermon. Stay overnight at the hotel. After breakfast check out then drive to Patna enroute visit Rajgir amd Nalanda. Check - in into the hotel. 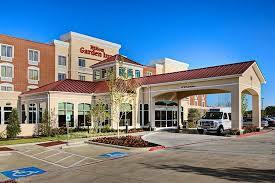 Stay overnight at the hotel.